Nail art is all about creativity, confidence, liberty, and free spirit. This technique can actually be done a long time ago but earlier people did not have the guts and were not as liberated as the peeps of this new generation. The combination of creativity and free spirit when it comes to art only means that one can do anything he/she wants. 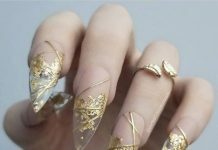 As for this post, we would like to show you guys some samples of nail art that embodies that same freedom we are talking about. The collection below lists down nail art designs that are as colorful as a newly opened box of crayons. Some may have patterned or conceptual designs but one thing is certain, they are all colorful. Too colorful that only a selected few, brave individuals will have the confidence to actually carry and flaunt the designs to the public. 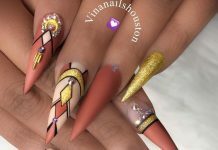 We are not saying that these designs are not awesome, in fact they are some of the coolest designs we have ever seen done in nails. 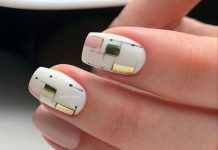 Hence, for all the free-spirited gals out there that are game for a flamboyant life, these colorful nail art designs are the things just for you. Here are the 30 Colorful Nail Designs for everyone! 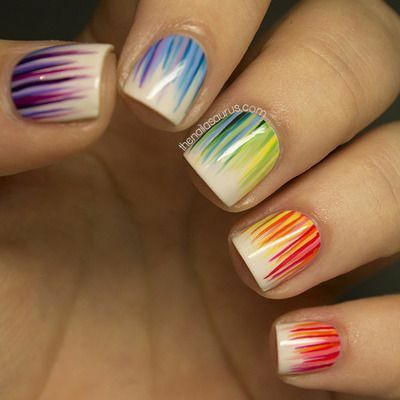 Also, kindly check our 30 Imaginative Striped Nails collection for further design inspiration!